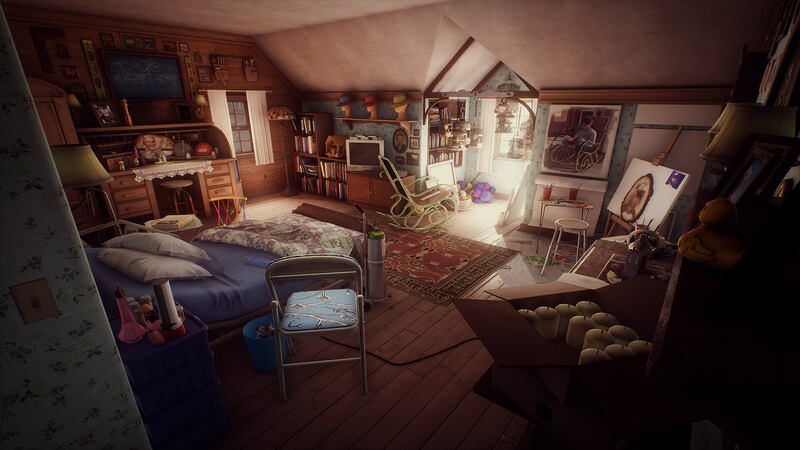 What Remains of Edith Finch is a wonderful first-person narrative adventure game developed by Giant Sparrow (The Unfinished Swan) and published by Annapurna Interactive. 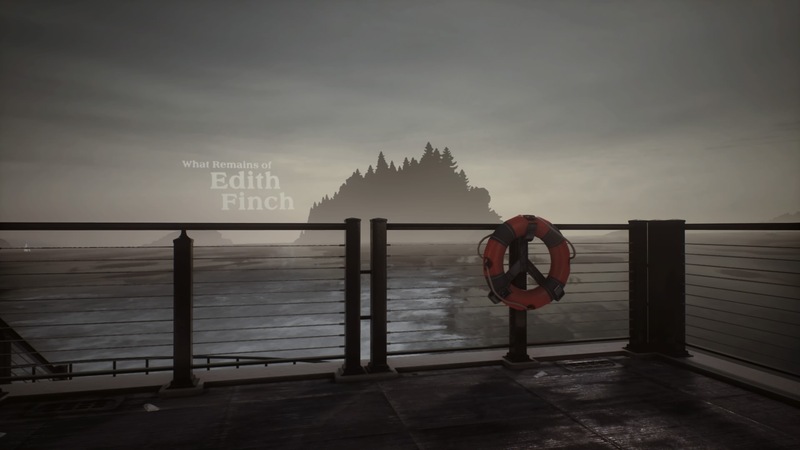 Available on Mac, PlayStation 4 and PC, What Remains of Edith Finch gives players a memorable journey filled with mystery, tragedy and creative imagination. This game presents a collection of short stories about a seemingly cursed family on Orcas Island in Washington State. As a 17-year-old Edith, who is well voiced by Valerie Rose Lohman (Ultraman X the Movie), players experience the first-person perspective throughout the game as they travel back to the Finch family home in Washington to explore her Finch history though the family journal. This game’s success depends almost totally on emotional investment by the players. Explore the ancestral history filled with creative architecture and memorable peaks into personalities that warrant even more exploration. Once emotionally invested, the main gameplay obstacle is the challenge of advancing through the compelling storylines that span from modern times to about a century ago as well as several ages ranging from an infant to an elderly person. An incredible sequence also focuses on several animals that really showcases motion, action and navigation. Other fantasy elements also expand the game’s scope (physics, realities, etc.). Players do not get much guidance, so veterans have some advantages. Most challenges come from navigation and progression. Multiple choices fall away to exploration as players can attempts various ways to interact with different game elements. Developers provide several visual prompts plus a few audio ones. Interaction formats range from an amazing comic book panel sequence to flying a kite to a memorable bathtub sequence. Developers also utilize text elements within the environments to enhance the gameplay and interactions. Similar to Everyone’s Gone to the Rapture, Life is Strange and Gone Home, this game’s characters find themselves in overwhelming situations and also encounter the personal and somewhat secluded stories of others. Players might expect ill intentions, but instead get genuine accidents instead…heartbreak instead of menace…intelligence instead of bad decisions. Unpredictable actions, scenarios and even puzzles have horror potential, but mainly remain in the psychological drama realm. The “smile with too many teeth” house also provides some character without overwhelming players with multiple rooms, passageways and secrets. Players also experience that familiar homecoming feeling as Edith returns to the unique home. Edith explores the house through regular doors and secret passageways, as well as the individual rooms of deceased family members who have been preserved like frozen moments in time. 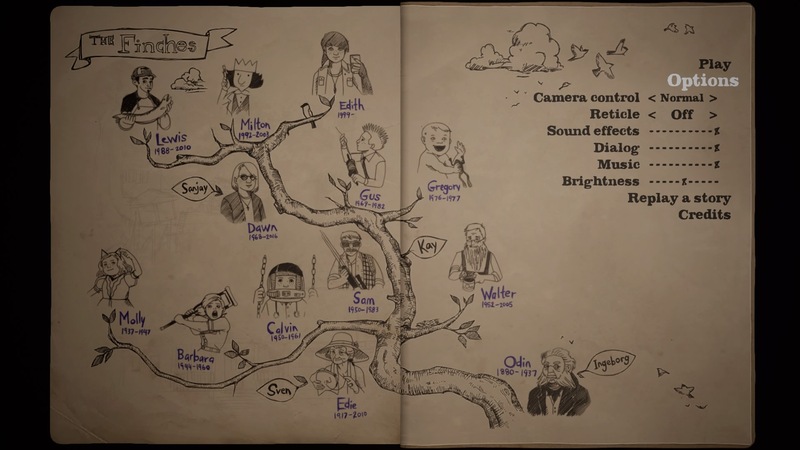 Players experience varied stories related to particular family members, with thematic and gameplay elements that change from story to story. Composer Jeff Russo builds on his television work (Legion, Fargo, The Night Of and Power) in this soundtrack that matches the game’s non-manipulative tone. Each movement flows with each moment at a perfect pace. Any game that deal with death so directly will have an impact. 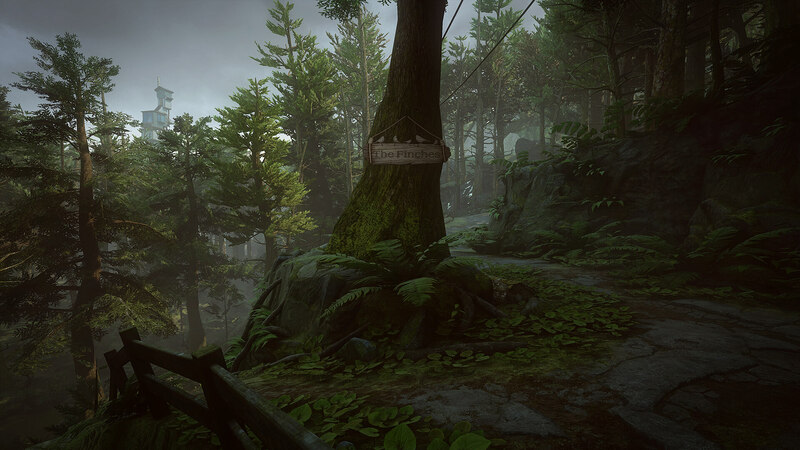 What Remains of Edith Finch is so well done that it delivers a huge impact while celebrating life as much as it addresses morbid realities. It’s touching, challenging, surprising, enchanting and exhilarating. The realism and fantasies mix so well into creative storytelling among compelling characters. The replay value is low since most players could (and should) finish this great game in one session. An extended version would be better than a spinoff, but that’s unlikely. The adrenaline runs as high as the emotions in this short story adventure that leaves several elements open to player interpretation. Developers and the crew achieve huge challenges and ambitious story formats in this emotionally dense and highly recommended experience (**** out of four stars) that’s not to be missed. 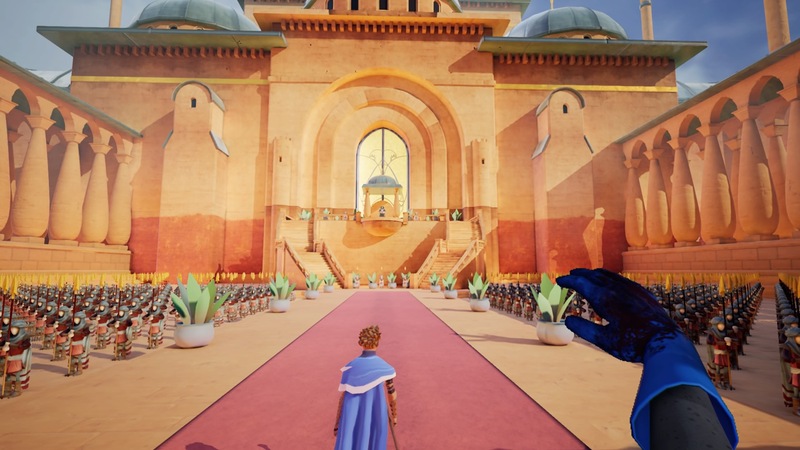 This entry was posted in Video Game Reviews and tagged Michael Siebenaler, Mike Siebenaler, Tall Writer, video games, What Remains of Edith Finch. Bookmark the permalink.